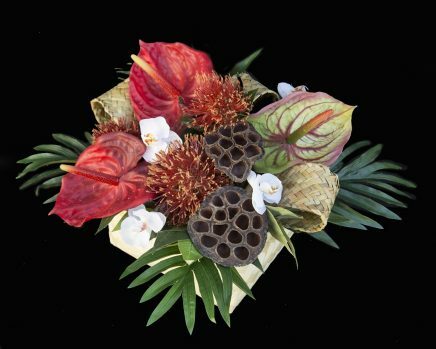 A pacific inspired arrangement of faux flowers presented in a woven natural basket. 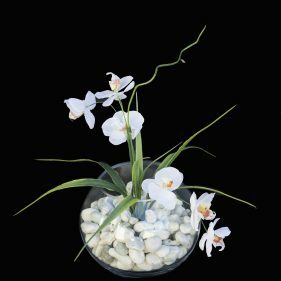 accented with woven natural ribbon and palm leaves. A pacific inspired arrangement of tropical faux flowers presented in a woven natural basket. 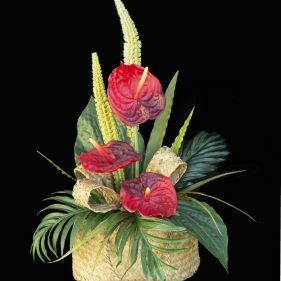 accented with woven natural ribbon and palm leaves.